It is time to learn more about Business interruption Insurance Claims. These claims are able to help your business get back on track through some financial help. It is rather mandatory for you to learn more about the business interruption insurance. It is mostly termed as business based income protection insurance and depending on the requirements, it helps in protecting insured business owners from earning loss mostly because of forced shutdown. When Even when a business undergo through some disastrous times like property loss because of rain, water or fire damage, vandalism damage or theft, the Business interruption Insurance Claims can save the day. Sometimes, you need an expert to work on your claims and offer best results. That’s when the adjusters come into action. This form of property insurance claim helps in covering excess expenses for repairing belongings and renovates the current business infrastructure.It further helps in covering the business as relocate cost temporarily mainly due to social reasons and other damages. If you end up losing income because of any kind of business loss, then you might have to recover those losses and expenses, which you can pay anyway depending on the financial records. With the help of Property Insurance Claims in PA under business interruptions, you get the chance to cover all forms of operating expenses like telephone bills, electricity charges and similar such issues. These claims will cover those expenses, which continue even when the business is at a halt or temporarily out of service. Furthermore, thanks to this claim, you can cover the said merchandise, which was once destroyed due to fire even before you get to shipped it for customers. It particularly depends most on the coverage criteria. For any form of reimbursement procedures, the reputed adjusters are able to resolve any kind of business insurance claims in an effective manner. They are ready to work on your claims with less trouble, thanks to the highly supportive stuff and claim settled professionals for the same. These skilled professionals are well-aware of the steps to procure and opt for the right results. Just make sure to give a call or mail them to your policy details and let the skilled professionals handle the same for you. You can further fill up the online form for requesting a call. Even though the business interruption claim is a must-have for business owners, but the claims adjusters are able to cover other types of property claims too. Some of those insurance services are wind and rain damage, water damage, vandalism damage, and fire and smoke damage. It is always requested to get along with the team first and end up with a consultation period. After consulting, let the team handle your case with ease and present the best result for your use. The functions of Public insurance adjusters in PA can be decided in accordance of categories. Choose the best category for receiving proper business interruption insurance claims in NJ. Have you experience any property-damage recently? Well, in this case you should call any expert public-insurance adjuster for receiving an adjusted and legitimate claim amount. This claim amount should be kept into mind while asking for compensation from your insurer. Public insurance adjusters in PA applies specialized calculation methods for giving correct figures to the clients. More information about these professional adjusters can be known from http://www.wehandleinsuranceclaims.com/. This link will also cater you necessary details regarding how to apply for business interruption insurance claims in NJ. Different difficulties might be experienced while receiving property-damage claims and all those difficulties can be efficiently dealt by proficient claim adjusters. Public insurance adjusters in PA is mainly of three categories and you got to know these categories well in order to make selection of the right one. If you fail to choose the right category then the claim procedure cannot be completed successfully. Insurance concerns often recruit trained and highly qualified public-insurance adjusters. These adjusters are usually hired on salary basis. They help the insurers in making the claims settled in a completely hassle-free and stress-free manner. They follow the specific regulations established by the company while calculating the customers’ claims. They do not fulfill the individual needs of the clients rather they work as company employees. Independent adjusters are those adjusters who can be hired by either insurers or insured fellows. They do not act as any company’s employee rather they work for their clients who have hired them. In most of the cases, they work for a certain amount of fee and this fee might differ from one professional to another on the basis of different important factors like experience, location, skill level, expertise and others. Public adjusters only work for policy-holders. They basically challenge the claim calculations made by the insurer’s adjuster so that their clients can receive the legitimate amount. They also help the clients in knowing and exerting their rights especially while filing claims for property-damages. They verify the damages and the insurance documents in order to come to the right conclusion. They also offer a lot of valuable recommendations so that the clients can be guided in correct directions. These are the three most popular categories of public-insurance adjusters. You should choose such an expert who offers the best deal so that you can remain at the beneficial end. It is always better hiring any experienced professional so that the case can be efficiently dealt. You have to disclose all associated facts relating to the incident and damages and then only you can expect proper assistance. In fact, incident facts also need to be disclosed while filing for business interruption insurance claims in NJ. Business interruption insurance claims in NJ are now treated as the most valuable commercial property insurance claims in New Jersey. Anything and everything might happen to your business at any point of tine therefore you should get a business-interruption insurance. This insurance will enable you in receiving necessary claims for compensating business damages or losses. Business interruption insurance claims in NJ can be now easily gained on the basis of accurate calculations. These claims mainly come under commercial property insurance claims in New Jersey. If you are willing to know more about these claims, then you can refer to http://www.wehandleinsuranceclaims.com/. If your business is getting interrupted by any unwanted and sudden damages then these claims are the only resolutions. Contact the insurer: The insurer needs to be contacted or informed for the sake of filing claims. You got to inform the insurer on an immediate basis; otherwise you might face a great trouble in receiving the claims. Know the coverage limits: The insurer will first investigate and measure the damage intensity and then only the claim will be released accordingly. The limits will be ultimately decided by your insurer. Damage mitigation: Appropriate steps should be taken so that damages can be easily mitigated. You should make necessary arrangements for protecting your staffs and in this way damages can be reduced to a great extent. Collect financial records: You have to submit all necessary documents of your company involving financial records. These records are always considered especially in case of releasing claims. The documents should be updated from time to time so that correct figures can be shown. Seeking multiple bids: Multiple bids should be taken so that a basic comparison can be made. In this respect, availability, cost, time and experience need to be considered. Seeking for assistance: If you want to make your rights secured then you should definitely look for expert assistance. This assistance will enable you in taking the right decision at the end of the day. If you also not have enough knowledge about these insurance claims then you should make approach to any experienced expert from the concerned field. Contacting insurance-claim attorney: You should hire any skilled and experienced insurance-claim lawyer so that legal hassles can be easily avoided. Innumerable legal complications might arise while claiming for business-interruption compensations and only legal professional can handle the same. These steps need to be followed in a chronological manner for receiving the claims smoothly without any interruption. These steps play a vital role in almost all types of property insurance claims in New Jersey. Why to Hire Public Adjusters in Cherry Hill, NJ ? Modern Public adjusters in Cherry Hill are highly professional and sincere and they are also capable in dealing with property insurance claims in Philadelphia. Public-insurance adjusters are those professionals who assist in making accurate claim calculation for the damages of their clients’ properties. In this respect, public adjusters in Cherry Hill deserve special mention. Property insurance claims in Philadelphia is now also getting resolved by efficient adjusters. Public-adjusters have got intense knowledge about damage compensations and thus they can assist their clients in receiving the most legitimate claims as per the occurred damages. Almost every insurer of the modern age is having their employed public-insurance adjusters but if you cannot rely on them then you can hire one on your own. In fact, claims can be now fairly resolved with the sincere efforts and assistance of skilled and trained public-insurance adjusters. If you want to get an accurate and legitimate claim, then nothing can be the best option other than hiring public-insurance adjusters. If you have experience large volume of losses at your office or home, then you will definitely be in need of these adjusters. They will help in making proper evaluation of the damages occurred as a result of which you will be able to get requisite claim amount without any barriers. If you think that insurer’s adjuster is not properly communicating or interacting with you regarding claims then you can surely hire adjuster from your end. The hired adjuster will make you understand about your rights that enable you in filing claims. Different legal hassles or complications can also be effectively tackled by the professional. To be more precise, the professional will act as your guide so that you can get your claims without any compromise. If you are challenging the decision of insurer’s adjuster then also you can hire any professional so that you can get the necessary assistance. The adjuster will review the whole case in order to ascertain the amount of damage compensation. If the amount is similar with that of the one provided by company’s adjuster then you have to agree to that amount only without getting into any further disagreement or arguments. The above reasons are really very much prominent and public insurance adjusters in Cherry Hill are also being hired due to these reasons only. Make sure that you are hiring the best adjuster so that your claims can be effectively dealt with. The adjuster should be capable of implementing different improved strategies for making the claim procedure smoother. You can also hire these adjusters for tackling property insurance claims in Philadelphia. If you desire knowing more about the functions and responsibilities of these adjusters then you got to click into the link at http://www.WeHandleInsuranceClaims.com. Now a days, most of these adjusters are utilizing advanced calculators for making the calculations more accurate and improved. Before you get down with Property Insurance Claims New Jersey, there are some mandatory points to chalk down first. You need to learn your typical duties too. A claim adjuster is the person you can trust on while dealing with Property Insurance Claims New Jersey. His main purpose over here is to investigate the insurance claims. For that, they have to interview the witnesses and claimant, consult hospital records and police and then inspect the proper damage. It helps them to determine the company’s liability in its proper extent. If you are currently looking for ways to file for an insurance claim, then you might have to go through the insurance policy to check on your responsibilities first. This might be your first time when you are planning to file for a property insurance claim. Now, this task is not that simple and it takes some hard work from your side. But the steps are simple, and more or less same in every instance. For the first step, you have to report the crime to the nearby police. After that is done, it is time to call your company or agent immediately. Go for some temporary repairs and then prepare a list of damaged or lost articles. In case, you are planning to relocate then keep hold of the receipts. After that, get claim forms and lastly, have an adjuster to inspect home damage. For the best Property Insurance Claims in Philadelphia, you have to take help from an adjuster. Now, before you do that, it is important to learn the basic services, which an adjuster holds. His primary duty is to verify the insurance policy that exists for the insured property or person. Generally, the policy holding firm writes these documents. After that, the adjuster will list out the damages or bodily injury, which took place. It is only upon completion of investigation that he can evaluate the damage as determined in coverage grants. The main aim of adjuster is to represent the insured in any of the property damage claims. Now, there are so many reasons, which can give rise to property damage like water, fire and what not. The reputed adjusters will follow different norms for each of the damages caused. Moreover, they might further help you to understand the areas, which re generally not covered under the insurance claims. It can work wonderfully for you to understand more about the claims before making one. If you want to learn more about the property insurance claims, then it is high time for you to request a call. Now the insurance claims are divided under multiple sectors; fire and smoke, water, wind and rain, vandalism and business interruption. Depending on your issues and needs, the adjusters are all set to offer you with thoughtful results. Business interruption insurance is frequently a crucial constituent of a corporation’s business continuity strategy. The insurance is intended to recompense an insured for the monetary effect of the intrusion to that business as a consequence of bodily or material harm to an insured property or further significant outside proceedings, such as harm at a dealer’s or purchaser’s properties. The purpose is to reinstate the business to the identical monetary state as if the damage had not happened, subject at all times to the terms and conditions of the acquired insurance policy. If the insurance is activated, for example, a fire takes place in a marketplace in New Jersey and a local business gets affected, the owners can contact a business interruption Insurance Claims NJ, where they have an active policy. And then, the question would arise if the fire hazard has activated cover or if the damage that has happened, happened at the time when the policy period was active. Was the property that got damaged due to the incident get omitted according to the policy rules? Was the reason of the loss left out under the policy? Are there numerous trials or incidences and if there is, how will the damage be owed amongst them? The confusion can be worsened where there are multifaceted multilayer agendas where vested interests of various layers could wander. Business interruption insurance dues are the claims that can cause the biggest, most multifaceted and argumentative claims. This is down to the numerous issues that influence upon the analysis and study of the damage caused. Policies, every so often, comprise of sub-limits, something that can lead to a significant influence on coverage. For example, a respected business interruption insurance claims Philadelphia will try their best to serve their local clients provided all of their information, terms, and conditions with the policy match the claims. Debts are taken care of. Any costs in this period are taken care of. 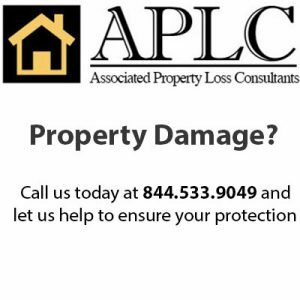 Insurance providers like Associated Property Loss Consultants (APLC) are known for providing the financial protection a business needs at New Jersey, Philadelphia, and other USA Cities, when dealing with problems and keep them afloat when the chips are down. Realizing that fruitful businesses hinge on more than mere cash and assets and the fact that it requires protection from unforeseen dangers is crucial for any business. You may know a lot about insurance, but you may not know about its intricacies and nuances. When you hire a qualified Public Insurance Adjusters in Philadelphia, you stand a better chance to receive the fair claim amount quickly. If you want to be sure to have the best and highest claim amount extracted from the insurance companies who are notoriously infamous about reducing and even sometimes negating a claim amount, it is always better to hire a qualified and reputed public insurance adjuster. They are the ones who can maximize your claims by helping you out with the complicated and lengthy paperwork. They will ensure that no supporting document is missed which can jeopardize your claim or lengthen the claiming process due to unnecessary and unwanted delays. The primary job of the Public Insurance Adjusters Philadelphia is to help with the filing process which is not as simple as it apparently looks like. The process is by itself very complicated as well as time-consuming, and a lot of experience and expertise is required to keep everything in order. The insurance adjuster has it all in them and also has extensive knowledge about insurance law, especially when it comes to claiming for any damage. Apart from the proper filing process maintained, you will also require a lot of proofs to substantiate your claims or else your chance of receiving the claim amount will be bleak and feeble. When you want to hire the service of an insurance adjuster, you should make sure that the person carries the authentic license that is issued by the insurance department of the state to be one. These adjusters are not the employees of any insurance company but works on your behalf and help you in the calculation of the claim, filing for the claim and also in the negotiation process with the insurance company. They are eligible and capable of helping out individuals with small claims or even to business persons with their Business interruption Insurance Claims NJ as well. The public insurance adjuster will also help you in other aspects apart from fair documentation of the claim to speed up the process. It is sometimes required to have some inspections and investigations done before the payment of claims, and such inspections can be arranged by these insurance adjusters. Apart from that, adjusters can also work with the cleanup companies and other contractors while the restoration process is on and also arrange a temporary housing facility, along with storage if necessary, for you when your property is damaged. One thing that you are assured of when you hire a professional insurance adjuster is that you will not only get the help in calculating and filing the claim but will also get proper help and guidance throughout the process. This includes restoration, inspection, evaluation to ensure that you get the full amount of claim as per you insurance policy and deductibles. During Property Insurance Claims Philadelphia there are a few steps to follow and few to avoid so that you do not endanger or even negate tour claims. The most daunting task is probably filing for your insurance claims. It is not only necessary to follow the formalities of the process, but you should also take care of some actions which you should follow and avoid. This is necessary so that you do not imperil your claims and also to expedite the entire process. The first thing you should do after the damage is caused is to notify your insurance company without any delay, even if you have to evacuate your property. This will ensure that the specific limit of notification and filing a claim is not crossed which will result in denial of claims. The process for Property Insurance Claims Philadelphia is an extensive process that has a lot of complications, and any non-compliance with the rules may result in unwanted and unexpected denial. You will have to pay attention to every detail so that you are sure that nothing important, document or otherwise, is missing out. You will also require devoting some time for the preparation that includes evaluation of the claim amount, resolution, settlement and much more. Therefore, for the first phase of the claiming process, you will require the name, address, policy number, and the type of claim along with the description of the damage caused. The entire premise along with the property must be secured so that no additional damage is caused that may include theft, looting, or any third party getting injured any further on-site. You may not have read the instructions before purchasing the policy, which you should ideally have, where it is mentioned that as a policyholder it is your contractual liability and responsibility to mitigate any additional damages caused by the actual disaster. Therefore, make sure that you preserve and protect your property to avoid any issues during the claiming process and prolong it. It is always advised that you hire a competent and qualified professional who knows all about insurance law to help you out with the entire process of claiming. This must be done irrespective of the fact that it is a property damage claim or Business interruption Insurance Claims Philadelphia. This is essential as the insurance adjuster from the insurance company will not look after your interest, no matter how big trouble you are in. They will work on behalf of the company and similarly if you have one working on your behalf you can rest assured that your rights and claim will be protected. There are a few things which you should not do until your property is inspected that includes repairing anything unless approved in writing by the insurance company. You should not throw away any receipts, personal belongings, damaged item unless properly documented. It is always important to procure help from APLC – Public Insurance Adjusters Philadelphia when you are trying to get information on a water damage claim. You have already invested a lot of money for your home. So, you cannot just leave any damage behind and move forward as nothing has happened. Sometimes, a small leak in your water pipe can cause serious issues and can leave you to deal with water damage. Most of the time, you have insurances under your name to cover your home related damages, and that calls for water damage coverage too. It is always important to catch along with the best Public Insurance Adjusters Philadelphia, just to help you with your insurance policies. You might know that water damage claims are quite frequent under the field of the home insurance sector, and it belongs to the third position, right after the wind and hailstones. The losses because of water damage claims are currently increasing on a daily basis, when compared to other forms of damage insurance claims. Therefore, you might come across loads of questions in your mind when you are practically dealing with water damage based claims. You need to procure help from experts to learn more about the claims and their limitations involved. It is important for you to learn more about the limitations, associated with water damage claims under home owner segment. To help you out in this regard, it is important to procure help from reputed and well-trained Public Insurance Adjusters Cherry Hill. They are ready to offer you with the best guidance, which you need in this regard. Always remember that flood water damage is not likely to be covered under home insurance policy by most of the insurance providers. The home insurance companies are not going to cover water damage if caused by inappropriate maintenance issues like continuous leakage from the bathroom or kitchen accessories. Moreover, they are not going to cover the cost of replacing or repairing source of water damage. The standard version of home insurance policy is not going to cover water damage because of water backlog from drains and outer sewerages. It is always important to get these points straight before you happen to deal with the water damage control and the claims under it. That way, you won’t get into any embarrassing position later. During most of the cases, the homeowners insurance is likely to allow security to the water damage if that occurs accidentally. If not, then there are very less chances to get the services covered. But, it is always important for you to consult an expert before working on any of these claims. They have been working with so many insurance companies, so they are able to help you find the right answer.